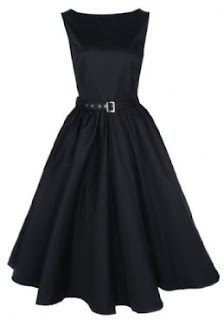 Will match my vintage topperfectly! 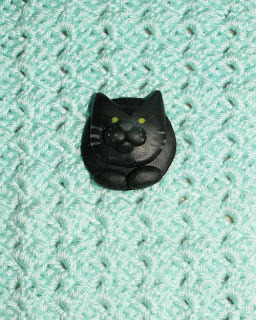 It’s made of felt, polymer clay and a little bell. 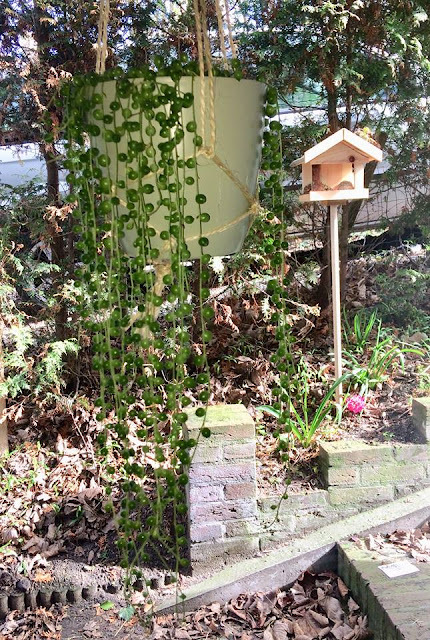 This week my Birthday Crown is featured by The Trendy Treehouse and on Facebook by I Gotta Create! Thanks, Tara and Christina! 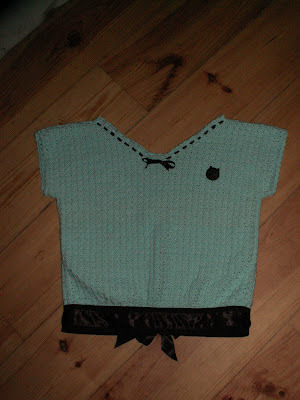 A couple of weeks ago I started to crochet a top of a 40’s pattern. 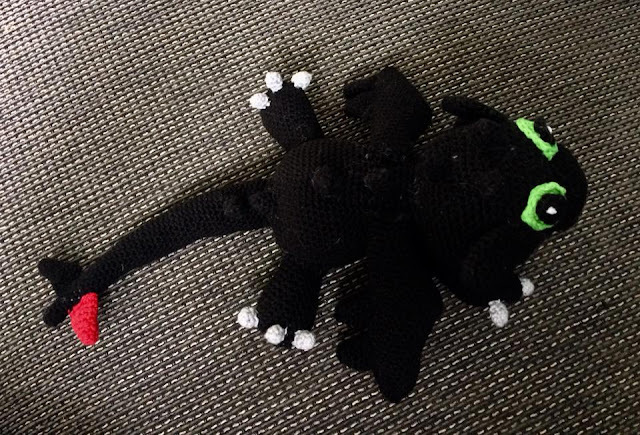 It was quite a lot of work (mostly because I like short projects, that are finished in two or three days instead of weeks), but it’s finished!!! Yesterday I found an adorable poodle pattern by Cassie Stephens to stitch on clothes or on whatever you like. 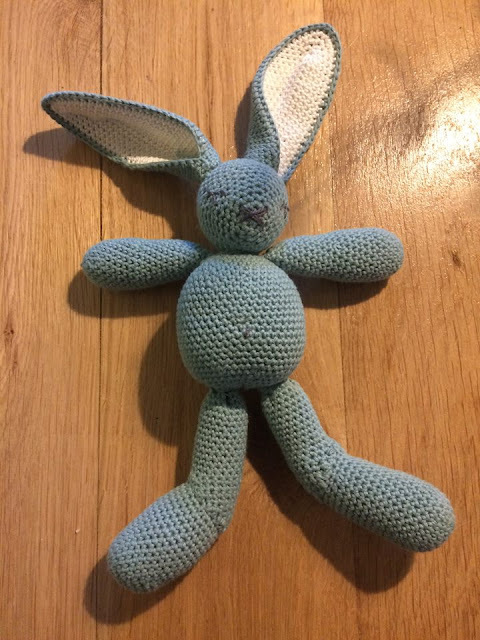 You can find it here, at Feeling Stitchy. I find the look of styled poodles hilarious, don’t you? Dogs from outer space! I embroidered this poodle on a circle of felt and applied it to a simple black long sleeve for my daugther. 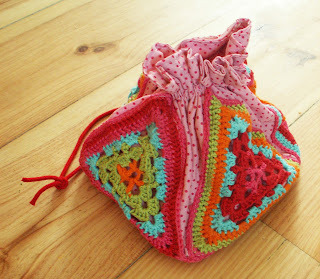 This week my Crochet Bag is featured by Snips and Spice, My Merry Messy Life and Creative Itch. Thanks, Malory, Sara and Macy! I Got to Create featured the bag on Facebook. Thanks, Christina! 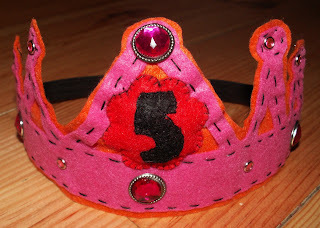 The Birthday Crown my daughter wants, because her little sister got a crown too for her birthday. A Birthday Shirt. 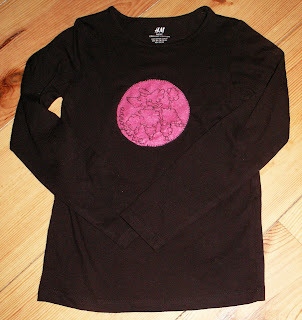 The shirt is from the shop, the stars and 5 I cut out of iron-on glitters and ironed on the shirt. This week my Lunch Bag is featured by Crafty Confessions! Thanks, Macy! 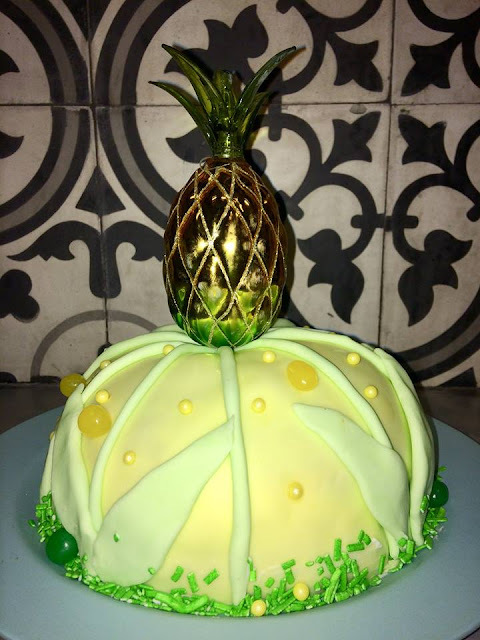 But there’s still a long list of other things to make: a piñata, a birthday crown like the one I made for my other daughter, the little presents that go along with the treats at school, a quoits game (although I maybe skip this one J ), cakes, cupcakes and other sweets. Lots of things to do indeed! 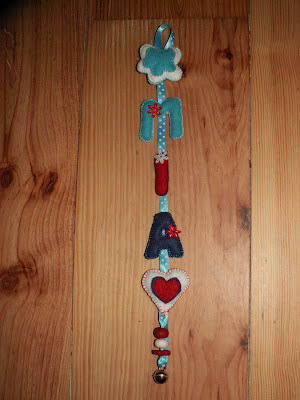 For who wants a pattern of the triangle grannies: I used the same pattern that I used for this bunting (with tutorial)! I made myself a dress again. The ones who read my blog on a regular basis know by now I’m a gingham lover. 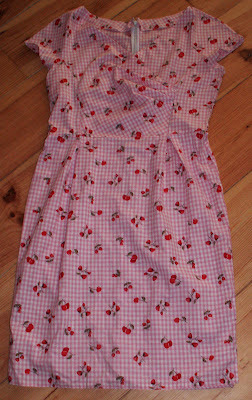 The pink gingham I used for this dress is even better, because it has cherries and strawberries on it! Love this fabric! And my Caged Butterflies are featured by In the Old Road. Thank you, Shasta! Shaped after my grumpy but nonetheless endlessly beloved black cat Sjakie, who isn’t among the living anymore for a while now, but still isn’t forgotten. You can see the mint colored top in the background. A picture of the total top follows after it's finished. And…. my Fingerless Lace Gloves are featured again! This time by Blissful Bucketlist! Thanks, Sarah!